365 golden coloured sand beaches line the coast of the yacht charter destination Antigua, one for every day. And at least once a year some of the beaches and harbours are chock a block with sailors. Race-fans, and many yacht charter sailors among them, celebrate their Caribbean final here with the Antigua Classic Yacht Race and the Antigua Sailing Week. Which means: exciting races, party all around and lots of Mount Gay Rum and Wadali beer. The island of Antigua in the outer sweep of the Lesser Antilles is not exactly huge with its expanse of 12 nautical miles in east-west direction and 10 miles in north-south direction, but a fascinating sailing area in itself, perfect for a one week or two week yacht charter Antigua cruise. The landscape is rather flat in the North but more mountainous in the South, where you’ll still find a rainforest – and the dry climate guarantees fun and excellent sailing all year round. For more than 300 years, Antigua was British; the French reign was rather short – only eleven months in the year 1666. According to British tradition Rugby, Cricket and Golf are played here, in addition to Tee time; the phrase teatime is common parlance. The main town is St. John’s, the local airport; V.C. Bird Airport is reachable directly via Condor from Germany or via London. St. John’s harbour is first and foremost interesting for freight traffic and tourists on cruising ships – but not so much of interest for yacht charter Antigua sailors. The US navy used to have a base here during the Second World War. More exciting for Yacht Charter Antigua crews is the history of the island that is more cut out for the sophisticated tourism in the south near English Harbour: in this natural hurricane hole, one of the most beautiful nature harbours of the Caribbean, the Britons had erected their naval base. From there the later Admiral Nelson took over the command of the Leeward Island fleet. In the last mid-century, the family Nicholson, who in fact only wanted to make a stop-over on their sea journey from England to New Zealand, began re-erecting the old officers quarters and renovating the whole complex: The Admirals Inn with its dignified British charm has been opened in 1960 and today still hosts the festive balls during Antigua Sailing Week. Today English Harbour is one of the major centres of Caribbean sailing and headquarters to many sailors, who also find a great infrastructure of shipyards around here too. In Nelson’s dockyard, just like in the Mediterranean, it is customary to tie the boat with the stern to the pier – in case the harbour being crowded,yacht charter Antigua crews find good anchoring in the Freeman Bay just opposite. Directly next to English Harbour is Falmouth Harbour, a vast bay, where you’ll find a pretty spot for anchoring but have to be aware of shallows. 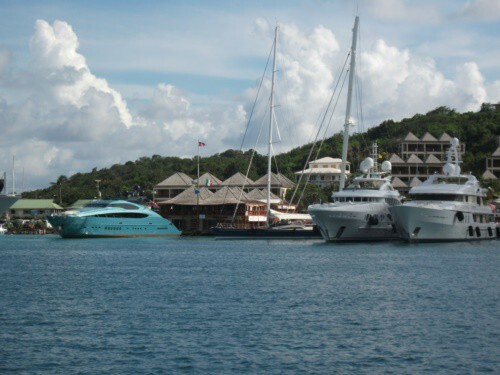 It also houses the Antigua Yacht club and the small but elegant Catamaran Marina. The best view onto both harbour bays is from above: on Sundays the visit of the hill Shirley Heights is a tradition amongst sailors, yacht charter Antigua crews and locals – there is live music with steel bands, barbecues and the sun downer with one of the most beautiful vistas of the Caribbean. On the western side of the island yacht charter sailors favour two spots: Jolly Harbour, laid out similarly to Port Grimaud with mooring in front of little houses, an exclusive gold club, a well equipped marina and a long beach right beside it – and the Dickenson Bay, an incredibly long beach with good hotels, taverns and plenty of space for an extended walk along the beach. East of English Harbour yacht charter crews lie totally protected, when anchoring in Mamora Bay, a wonderful spot for a night or a lazy day aboard or swimming. If desired you’ll find all the conveniences you can think of in the grounds of the exclusive St. James Yacht Club with its own marina. Highly challenging and sometimes dangerous are the coastal waters, extending from the Diamond Bank, Northeast to the Man of War Point in the East – roughly 20 nautical miles full of tiny islands and coral reefs. The east coast of Antigua is wild and romantic, the windward side however Atlantic rough, as often the case in the Caribbean. But you’ll find calm anchorages on the lee side of Maid Island and Long Island in the Parham Sound and North Sound as well as good means for provisioning in Crabb Marina in the southern part of the North Sound. In the Southeast – the coast is segmented by islands and reefs here as well – Nonsuch Bay will offer shelter. Willoughby Bay with the Horse Shoe Reef offers excellent opportunities for snorkelling. Together with the island Barbuda, situated further North, the yacht charter destination Antigua forms a state of its own. Barbuda is a flat chalk island, which is almost entirely surrounded by reefs. The safest point for approach is Cocoa Bay in the Southwest – people sailing here are rewarded with a white picture perfect beach. There are only few hotel complexes on Barbuda – the island is a nature reserve and known most notably for its divers world of birds. There are important yacht charter fleets with sailboats and catamarans for bareboat charters in Antigua that are not listed in our Yachtfinder – please ask for offers. And of course we will be glad to send you offers for the most beautiful luxury charter yachts with crew in this area as well. 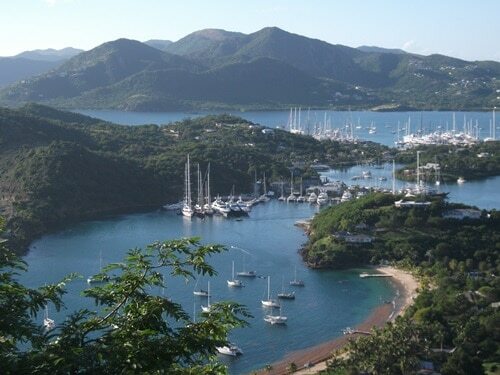 Antigua is a very popular destination for charter holidays on board of luxury yachts, super yachts or crewed catamarans. Here you can find more information about luxury yacht charters. 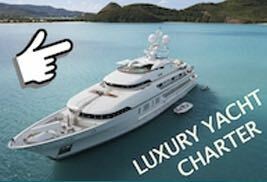 We would will be glad to organize your luxury yacht charter in Antigua – please ask for offers!